Can you solve this math puzzle for third graders? To solve the puzzle, third graders are told to put the numbers 1 to 9 in the blank boxes. Can you figure it out? It's a math puzzle designed for third graders, but many adults are having trouble solving it. The puzzle looks something like Scrabble, with a series of boxes that snake up, down and across a page. Some boxes have a number, others have a math symbol and some are blank. 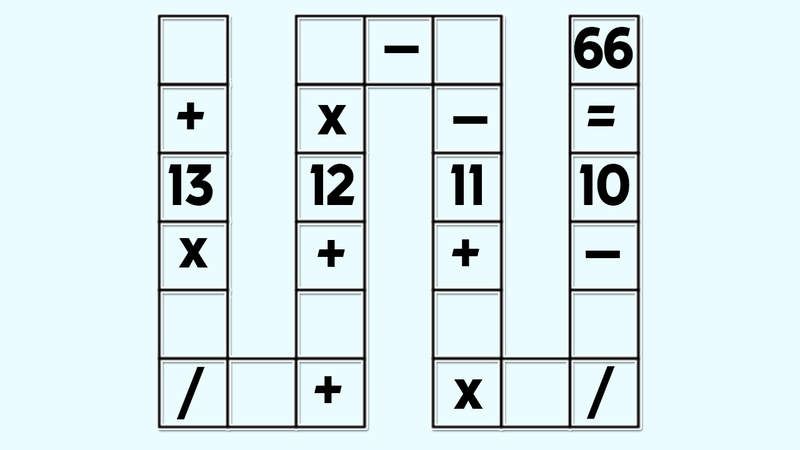 To solve it, just fill in the blank boxes with a number from 1 to 9. According to VN Express, a Vietnamese publication, you won't find geometry, calculus or algebra functions here. It's just basic math for third graders, but adults are concerned. "This problem is difficult even for adults good at math, so it will be difficult for students in grade 3," teacher Tran Phuong told VN Express. Phuong also said he's asked a person with a doctorate in math to solve it, "but they have not given the answer," he said. This problem for 8-year-olds is reminding others on social media about another tough math/logic riddle given to students in Singapore. It turns out there is more than one way to plug in the numbers and reach 66. The question is how you get there. The gist of it is you write the formula in a way that's easier to read and then use educated guesses. 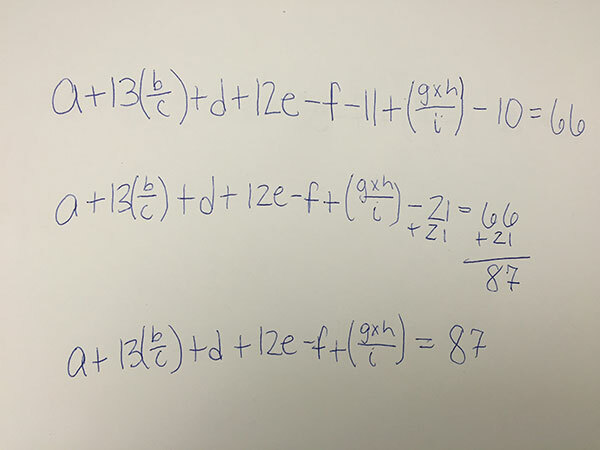 Plug in one variable for each blank (a-i for the numbers 1-9) and then write out the formula using the "order of operations" you learned in elementary school (multiplication/division, then adding/subtracting). Working with the bottom formula, keep plugging in combinations until one works. Did you find another combination? Did you solve it a different way? Let us know in the comments. Are you smart enough to solve this riddle?